Chris Packham: ‘This engaging book was a delight - fresh, accessible and fascinating. I swam through these subaqua stories gazing into some of the world’s most beautiful waters with absolute joy and strolled on the shores of some fascinating and informative stories. Wonderfully evocative, full of gems of natural history and rich in the joys of exploration’. 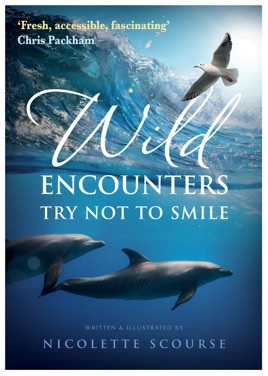 Nicolette travels off-the-beaten-track for uncontrived encounters with animals truly in the wild, and some special people, and her scientific and behavioural background unravels strange worlds. But beautiful is not always paradise – she gives a gripping account of a super typhoon on a small Micronesian island.